If you’ve been on the Internet or picked up a newspaper recently, you might have seen something about increasing friction between police officers and the communities they serve and protect. Some have suggested that many police officers feel like they’re at war, or that war is being waged against them. There is always a certain amount of friction when it comes to policing, but many officers say that regardless of what the numbers say, they feel like they’re under attack. That’s why it’s so refreshing to get a small respite from the “war on cops” talk that has dominated the media recently. 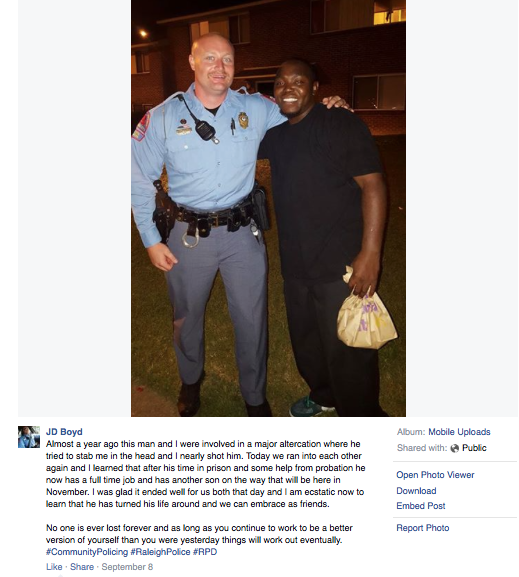 JD Boyd, an officer in North Carolina, recently posted a tale on Facebook that has since gone viral. Boyd ran into a guy who tried to shoot him a while back. 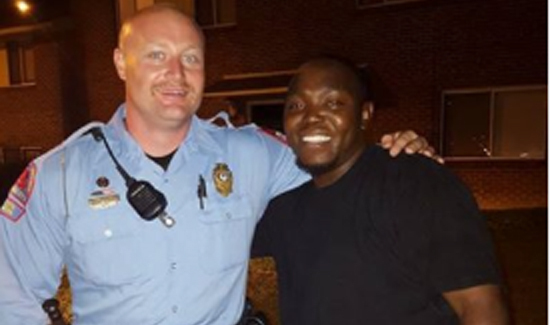 It turns out that incident helped a man who could have been a cop-killer turn his life around. For some folks, this might not be a feel-good story. But it’s spreading like wildfire on social media, and with all the division we’ve seen recently, anything having to do with people coming together is going to be in high demand—especially if it involves cops.